A researcher has demonstrated how easy it is to steal high-end drones, commonly deployed by government agencies and police forces, from 2 kilometres away with the help of less than $40 worth of hardware. The attack was developed by IBM security researcher Nils Rodday, who recently presented his findings at Black Hat Asia 2016. 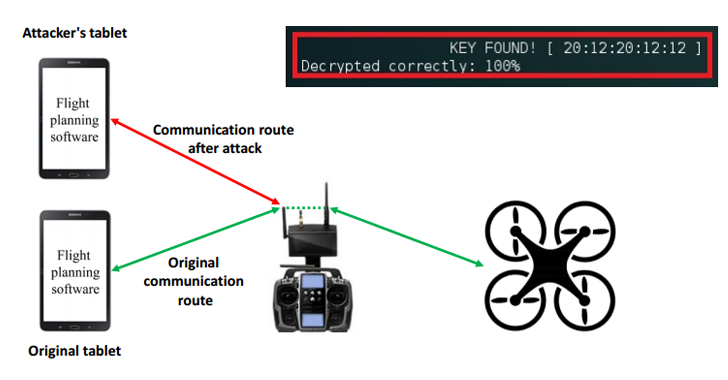 Rodday explained how security vulnerabilities in a drone's radio connection could leverage an attacker (with some basic knowledge of radio communications) to hijack the US$28,463 quadcopters with less than $40 of hardware. Rodday discovered (PPT) two security flaws in the tested drone that gave him the ability to hack the device in seconds. This flaw could be exploited by any attacker in Wi-Fi range of 100 meters to break into that connection and send a malicious command that disconnects the drone's owner of the network. Second, the onboard chips used for communication between that telemetry module and the drone uses even less-secured radio protocol. The module and drone communicate using 'Xbee' chip, created by the Minnesota-based chipmaker Digi International and is commonly used in unmanned aerial vehicles (UAVs) everywhere. According to Rodday, Xbee chips do have built-in encryption capabilities, but for avoiding latency between the drone and the user's commands, the chips doesn't implement encryption. 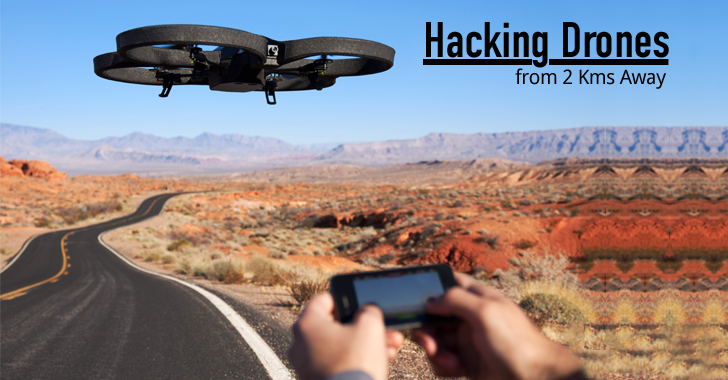 This issue leaves the drones open to 'Man-in-the-Middle' (MitM) attacks, leveraging an attacker to intercept everything happening on the UAVs network connection and inject commands between the drone and the telemetry box from up to 2 kilometres away. Furthermore, Rodday also warned that any sophisticated hacker with the ability to reverse engineer the drone's software would be able to send navigational controls, block all commands from the real operator, or even crash it to the ground. Rodday's research proves that there are critical issues with what's likely the most expensive drone yet, as well as one that is used for more serious purposes than high-altitude selfies, which needs to be considered seriously.